Are you fed up of wearing of the same shirt almost always when you go out? It doesn´t have to be like that. Using a special laser-shirts, you can shine in the dark, and create new a new patterns and to change them every day. 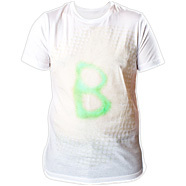 These high quality Glow shirts - Laser t-shirts, are available in black and white colour and imprinted with a special glow shining surface, that serves as a canvas for your suggestions. 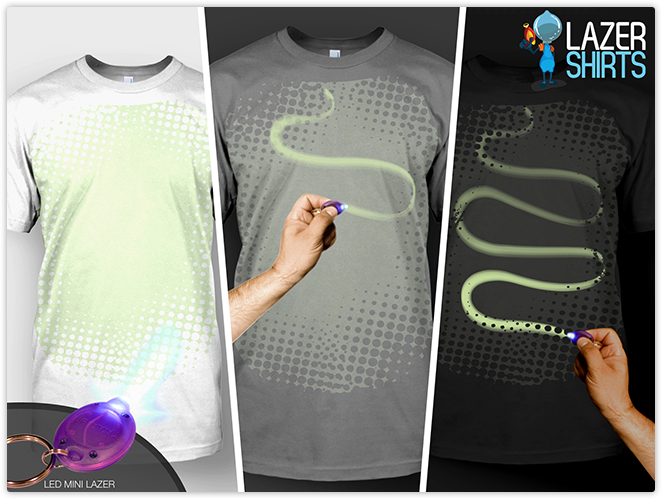 Just use ultraviolet "laser" and draw your design on the shirt and turn off the light. 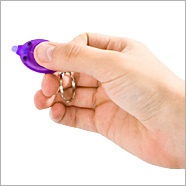 Perfect for clubbers and disco maniacs. These brilliant shirts allow you to be a designer in the dark. In order to keep laser printing as long as possible, when washing, turn the t-shirt inside out and wash in cold water.